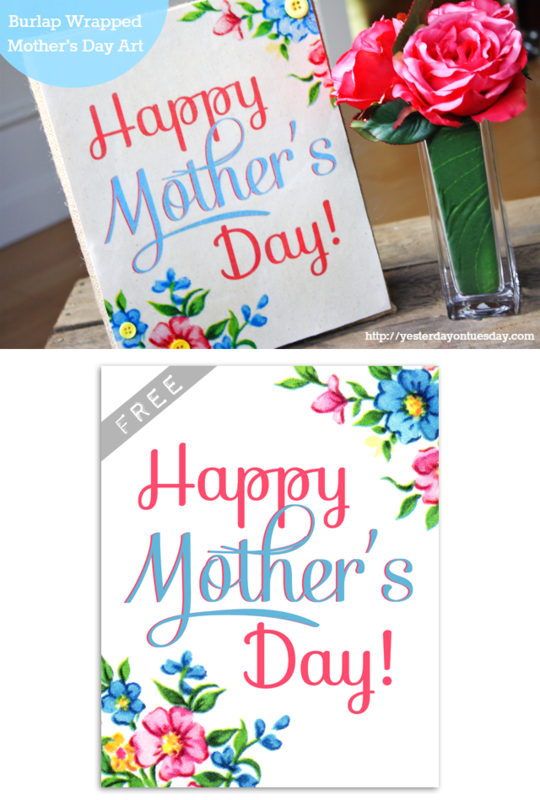 Need a pretty Mother’s Day Project? Yesterday on Tuesday and I have teamed up once again to bring a gorgeous, but most important user friendly freebie printable that could be used in a multiple of ways! Just take a peek at this gorgeous Burlap Wrapped 8×10! Oh this is so fun! At first glance it looked like a vintage book. Very very sweet. such a wonderful wonderful project!!!! thank you my friends for your continuous generosity…you guys rock!!! sending hugs and love your way!